Ford dealer principals and IT managers met at Henry Ford College in Loughborough for the automotive manufacturer's first technology conference. 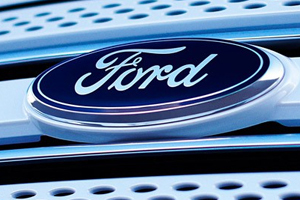 Ford is hoping to run an annual dealer technology conference, after holding an initial one-day event for around 130 of its dealer principals and senior IT managers. The conference aimed to showcase some of the new and future technology for the car industry, as well as encourage dealers to use online methods to interact with customers. Google and Microsoft were among brands presenting to the delegates at the conference last month, which included plenary sessions, as well as smaller break-out workshops and a supplier exhibition area. Delegates were also briefed on the latest technology from Ford partners including CAP, ADP, Gemini Systems and GForces. Ford’s director of dealer operations Anthony Ireson told C&IT: "We were conscious we have got a lot of new technology coming in and we need to get dealers ready for this. In addition, more consumers are interacting with us digitally. We are going through a change in mindset." Delegate management was carried out by Inside Track for the event on 7 December. Ireson added: "The dealer feedback was fantastic and we are trying to make it an annual event because it went so well."